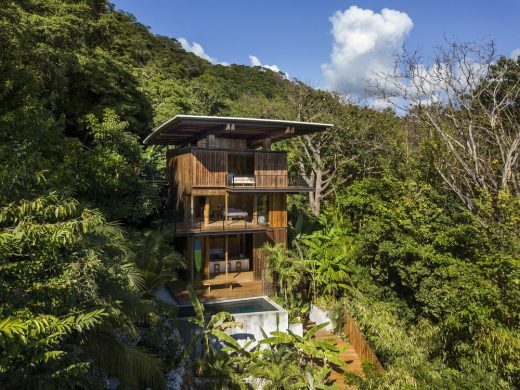 A building design is inspired by the jungle of this densely forested site on the Pacific Coast of Costa Rica, constructed from teak wood harvested on-site. 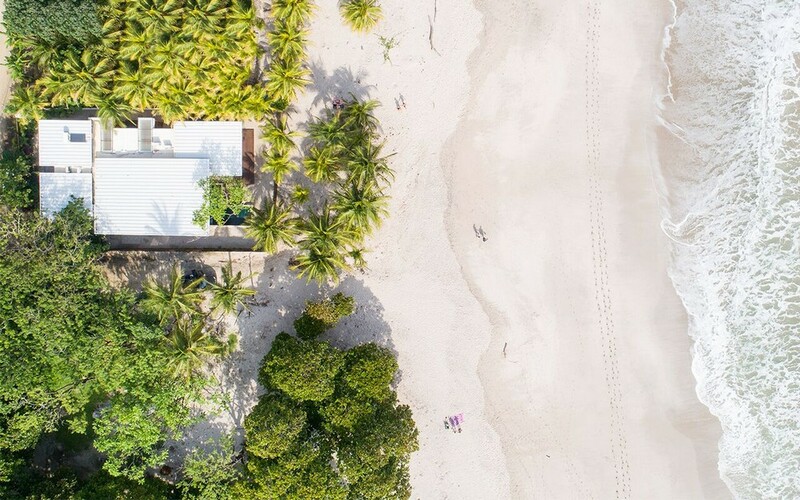 Playa Guiones, in the town of Nosara, Costa Rica has long been known by the wider international community of surfers as a hidden gem and off-grid paradise of white sand beaches and constant waves. 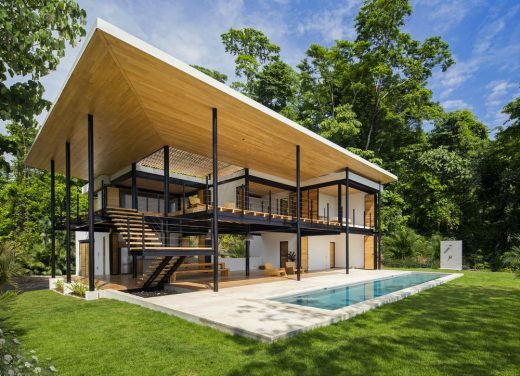 Set in the rainforest of Santa Teresa, Costa Rica, two modern homes project out of the landscape and are defined by a series of steel frames that that bring the best modern methods of construction to a tropical location. 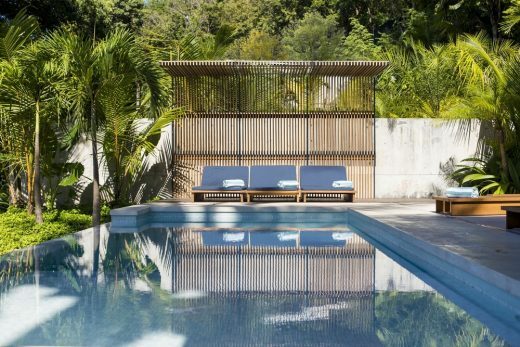 A boutique hotel and yoga studio set into in tropical landscape of Nosara. The project is another in a long line of sustainable buildings from the practice that blend contemporary design with local craftsmanship, embracing the natural environment that surrounds and frames the architecture. 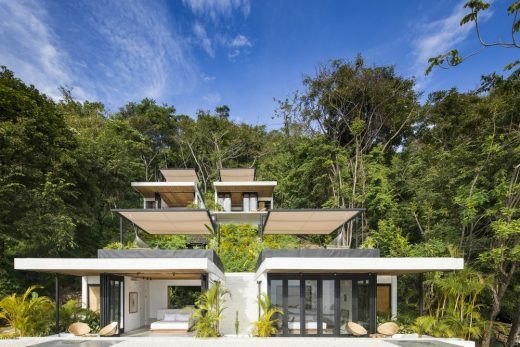 This contemporary residence in the Caribbean coast of Costa Rica has become an example of how contemporary architecture can learn from common sense principles. 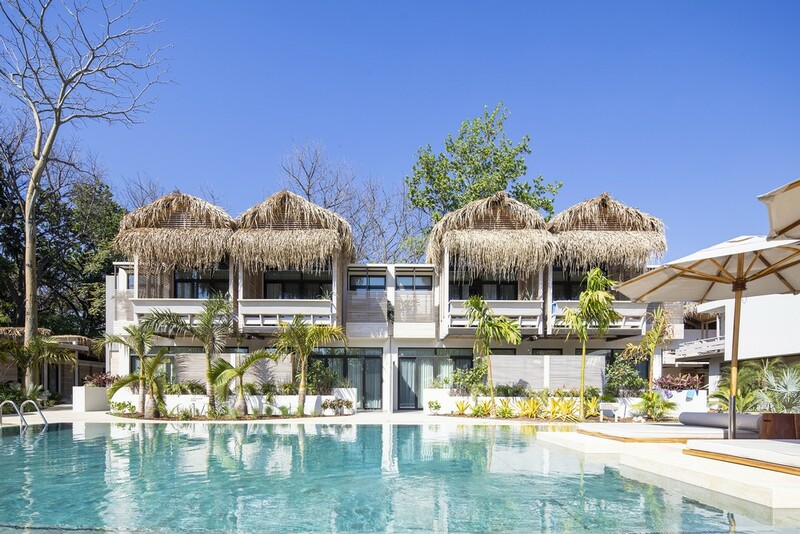 The Client wanted to create their family home on the Pacific Coast of Costa Rica and found an incredible site overlooking the ocean. 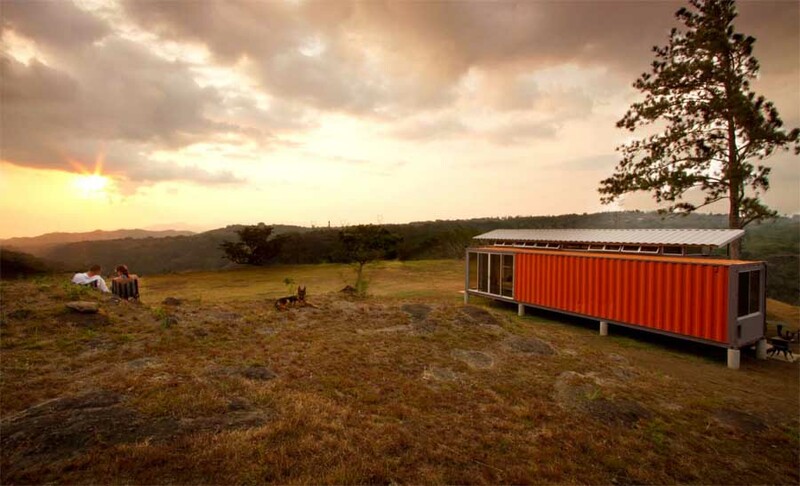 The biggest constraint we encountered was that the site was predominantly on a very steep slope, and the view of the ocean was captured only at the mid-upper portion of the site. 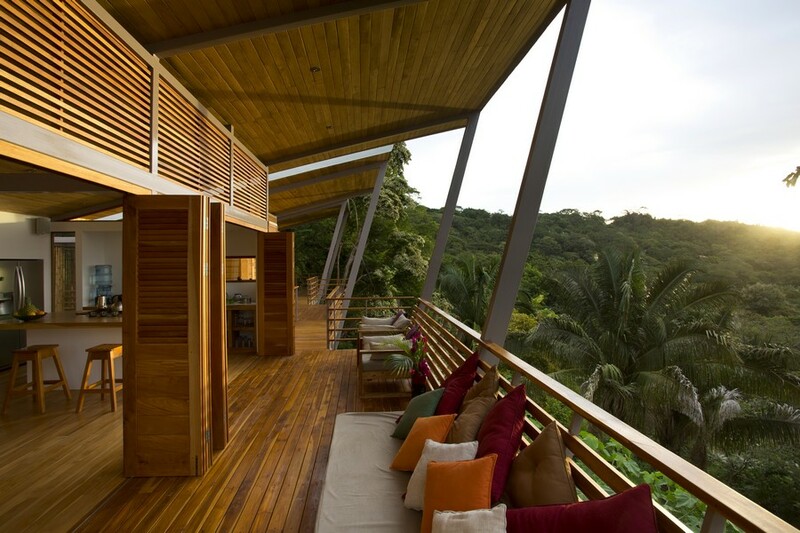 The Client bought a beautiful property with two breathtaking views: towards the ocean and into the jungle. We decided to rest the house against the back of the steep hill of the site in order to stabilize the soil and protect the house from falling debris. 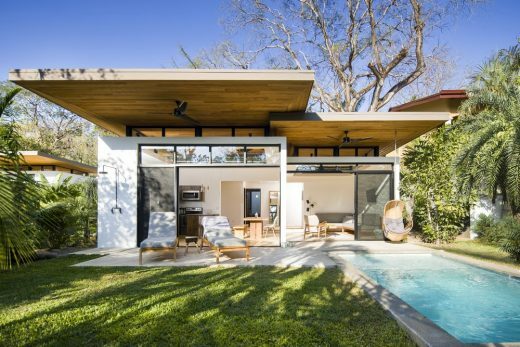 This property was planned as a retirement residence for a client from Hollywood, California, the design focused on creating a home that is harmoniously integrated into the landscape of the surrounding Costa Rican mountains. 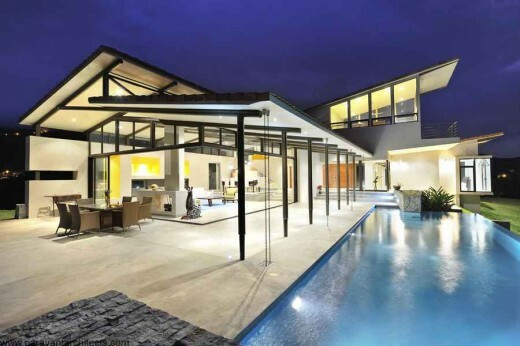 This was largely done by allowing for a strong connection between the indoor and outdoor living to take full advantage of the moderate climate and spectacular views the site offers. 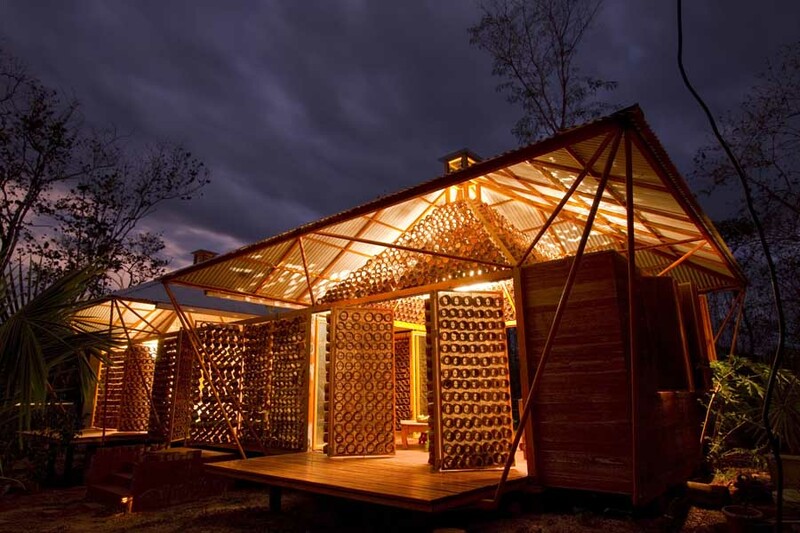 The concept by this architecture studio aims to provide education and awareness of its occupants and its community, that will be capable to learn about sustainable living through its spatial living. The house promises a responsible approach to the nature of its location, Peninsula de Osa, a place where around 5% of the world biodiversity is embodied. 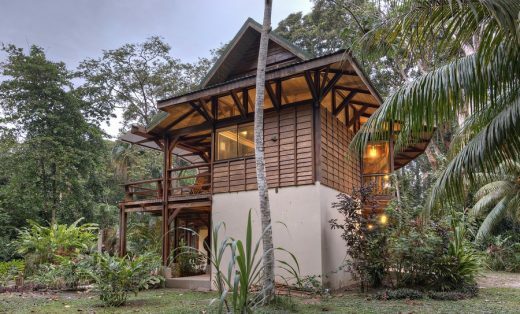 Gabriela Calvo and Marco Peralta dreamed of living in their fantastic property 20 minutes outside of the city of San Jose, Costa Rica; where they could be with their horses and enjoy the natural landscape. The architects bring new ‘architectural life’ to the Caribbean by reappraising the architectural heritage of the region and reviving indigenous techniques. 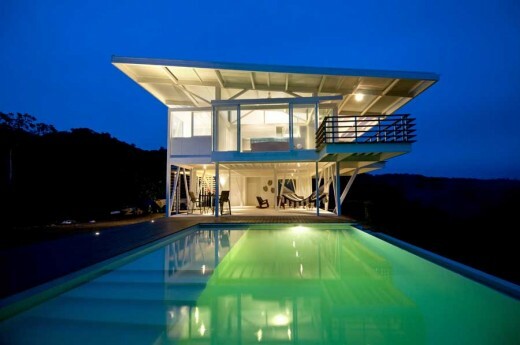 However, by coupling them with modern design technologies and aesthetics, GBA has created an eco-architecture that is remarkably light, impacting on its surrounding only minimally both physically and environmentally.